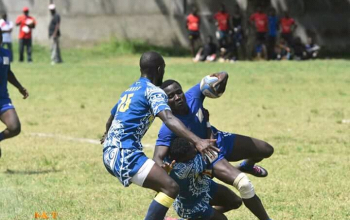 The division two contest of the final tournament of the 2018 National Sevens Circuit, Christie Sevens was won by Masinde Muliro University of Science and Technology following a thrilling 24-12 decider over Egerton Wasps at RFUEA Grounds on Sunday 16 September. Despite the defeat in the final, Egerton Wasps were however not to be denied the overall Division II title as 19 points gathered at the final saw them hit anan unassailable 82 point mark. MMUST turned on the heat in the second half to defeat Egerton after a nail-biting first period saw both teams scoring two tries to head into the break with MMUST leading 14-12. 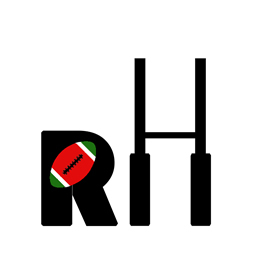 Samuel Mbeche and Derrick Liyokho each scored first half tries for MMUST with Derrick Okisai converting both while Walter Oduor and Moses Ngura crossed over for Enos Otieno's Egerton Wasps and Brian Ndege managing only one successful conversion. In the second half, Kevin Abuga and Claus Shirievo added to MMUST's try-scoring tally as they held on to clinch the much coveted victory. Other winners in the division two tournament include CITAM Kisumu who defeated BATUK 12-10 to win the Spear trophy, MKU Stingers won the Challenge trophy following a 17-12 victory over Catholic Monks. 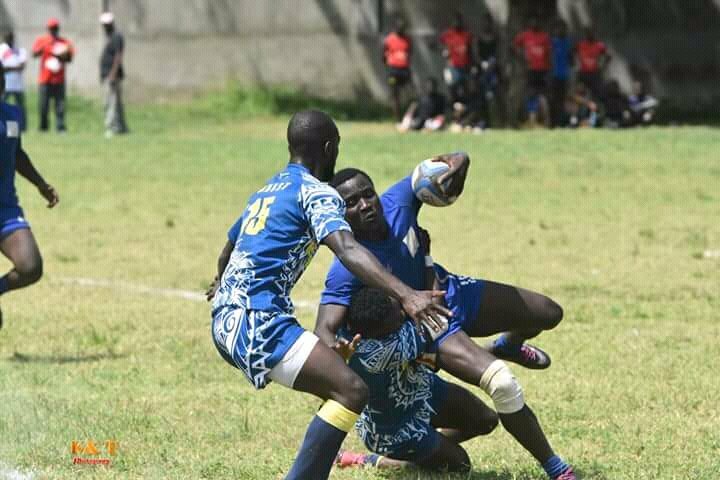 13th place went to JKUAT after they defeated Daystar 7-0 while Quins' Vandals finished fifth following a 19-12 victory against MKU Thika. 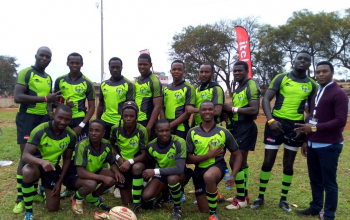 Makueni RFC, last year's Div II Christie7s champs clinched bronze but were made to work hard for the victory after Webuye, held them to a 5-5 draw during normal time. The match ended 12-5 after the sudden death period. Alvin Luvai and Hans Lumumba were the two try-scorers for the bronze medallists, with Luvai adding one conversion to his points tally. 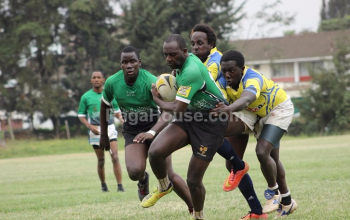 This game was a repeat of last year's final that Makueni won 19-12. The bronze came with 17 points to see Makueni finish second in the overall log with 81 points, one shy of champions Egerton Wasps.